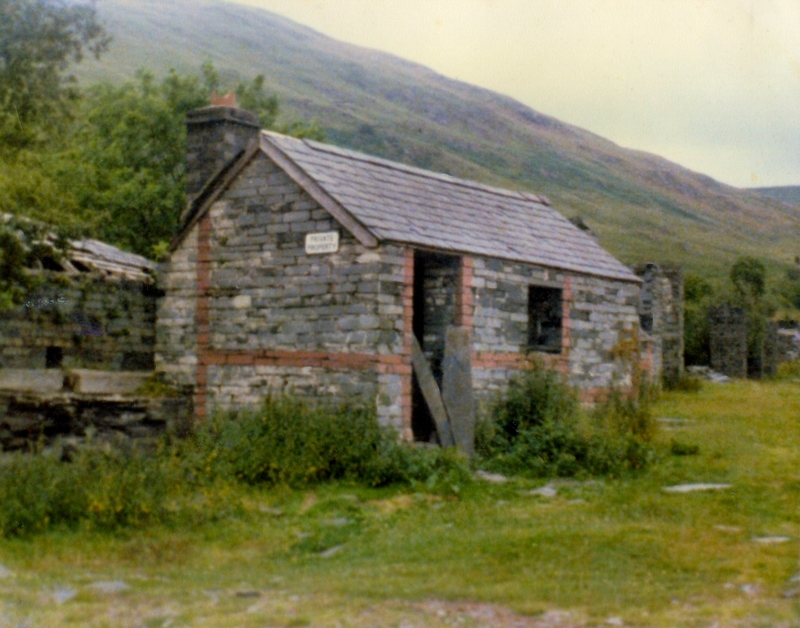 My first ever hike up to Bryn Eglwys was in 1979. 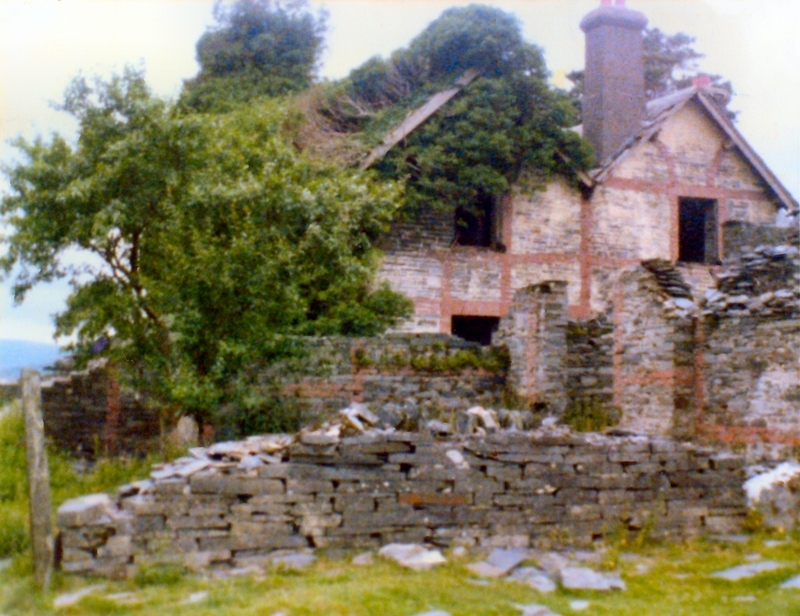 It involved the climb up Cantrybedd incline (nowhere near as over grown as it's since became) to the Lower Mill site, then onwards up Beudynewydd incline, to eventually emerge at the site of the Managers house (and - in front - the quarry office remains) which was still partially standing at that time. Unfortuneatly, the only camera i had with me that day was an old Kodak 125 - and there was not much film left in it ... ahh well i thought, i'll come back next year with a proper camera! How wrong i was ... the next time i returned everything had been flattened. Aaargh! Anyway, i've included those rare photos here because, as bad as they are, they do cover items now lost forever. 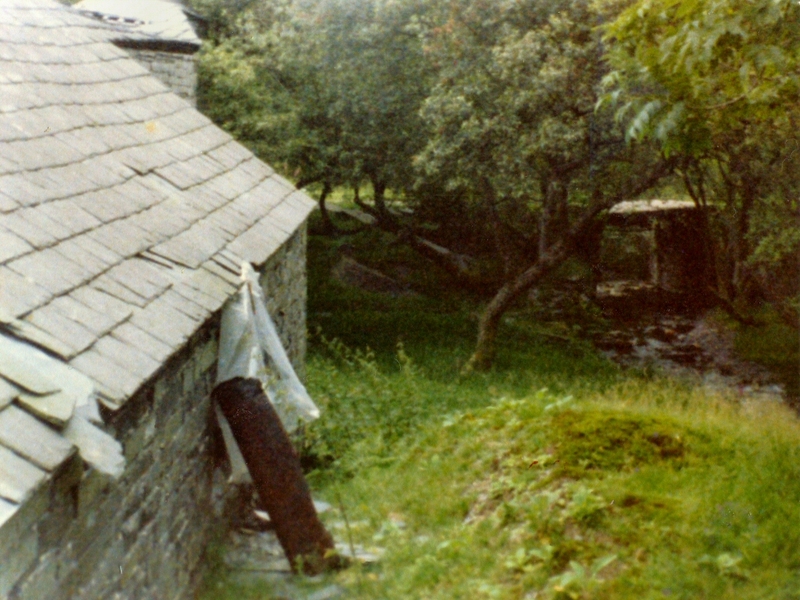 Across the way from the Managers house was the Drum hut (for a winding drum that was used to uphaul - via a cable to an inclined shaft - from chamber 8B) and directly behind this was a waterwheel of (app.) 20 foot diameter, with the pillars for the launder still in situ. Also visible is the roofed end of the compressor house. 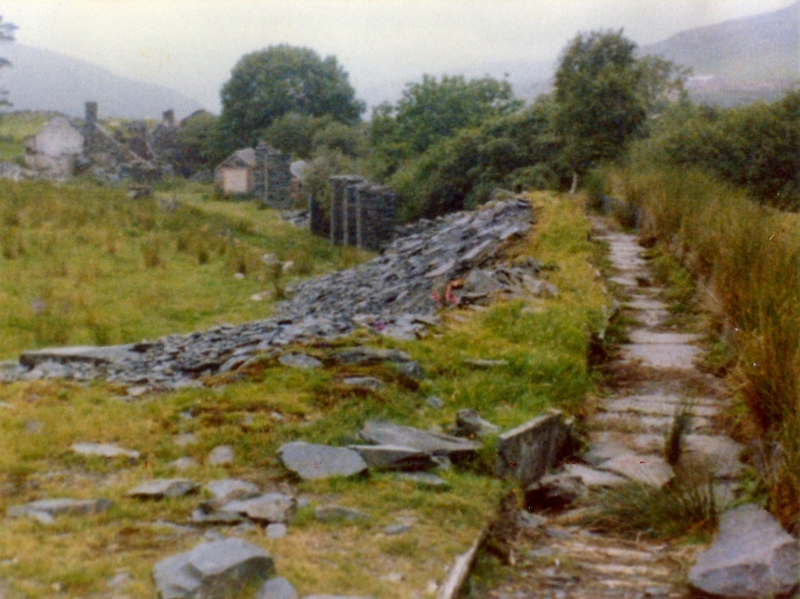 Looking along the slabbed launder towards the waterwheel site and (beyond) Bryn Eglwys cottages. The launder drew water from the Afon Llaeron, whichs runs through the line of trees on the right. View of the Carpenters Shop and the (later addition) upstairs Barracks. Note the large central doorway. 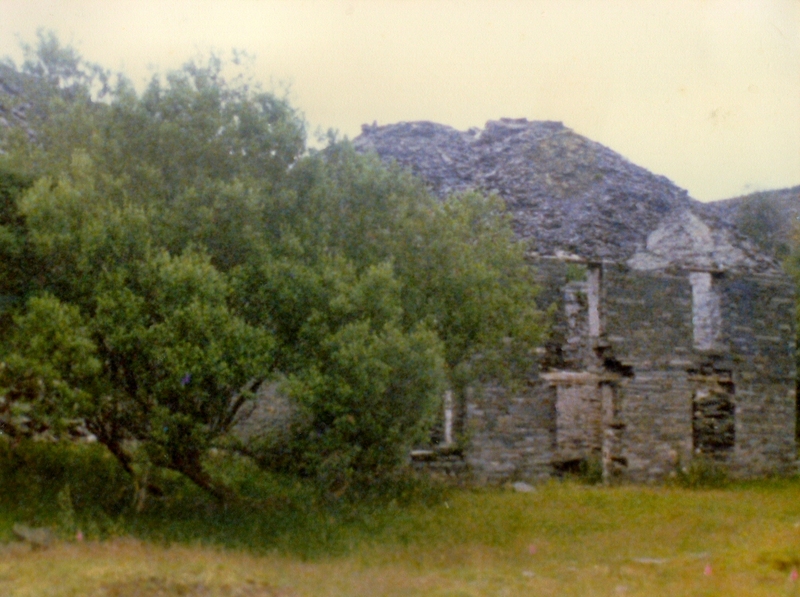 To the right of this building was the run out from the Daylight Adit and the base of the Boundary Incline. I don't even know why i took this shot - but it does show the rear of the Compressor House and the bridge over the Afon Llaeron.